Pai Mu Tan is a white tea – the leaves are the very young fresh leaves of the tea plant. Café Café presents the tea very nicely, as you can see in the picture below. A warmed cup, a tea strainer to catch any wanton leaves, and a proper tea plunger with enough tea to fill the cup twice. The tea’s flavour was delightful. When it first hits your tastebuds, it seems slightly fruity, and slightly woody. It’s not a sweetened tea, though. 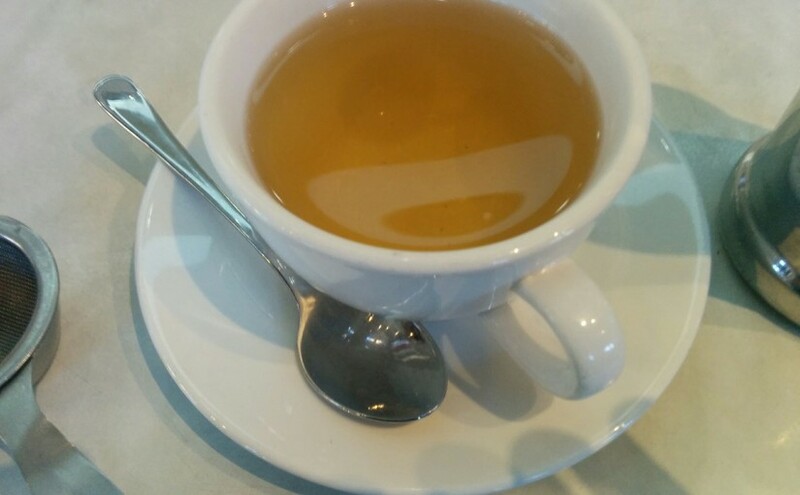 The fruitiness is the natural taste of this white tea. 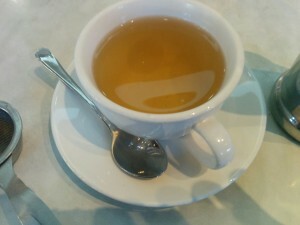 By the second cup, the woodiness resolves as the faint burnt taste of the little tannin this white tea contained. It’s a truly delightful tea. 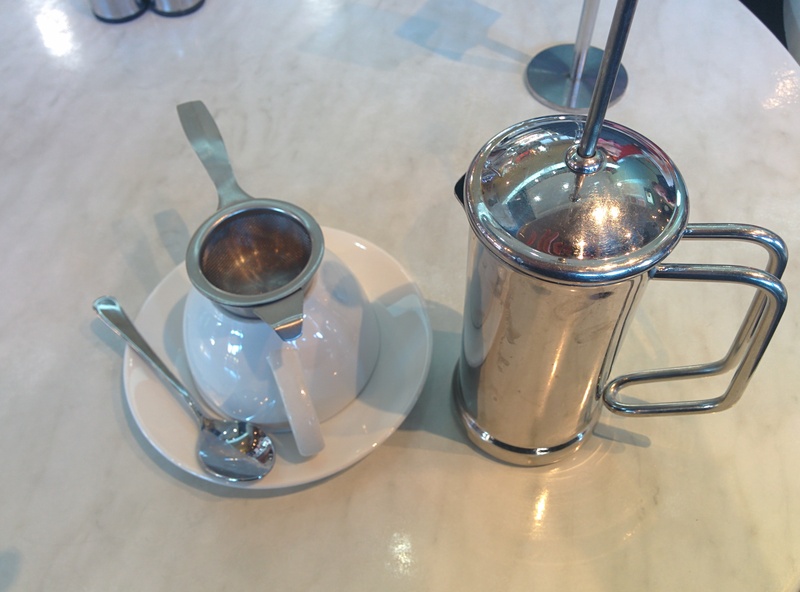 I’ll have to look out for it next time I pass an outlet that stocks T2, and see if I can make it as well as Café Café!